Our digital media team made the most of the sunshine. Spring has been kind this year with sunshine and blue skies so let’s hope it stays that way, as we all know that the British weather can be disappointingly inconsistent. People all over the country would have made the most of this blissful sunshine, a lot of BBQ’s would have been uncovered and dusted off, parents desperately blowing up the paddling pools for the impatient and excited children and neglected gardens getting the attention they needed. The joyous sunshine is a great stimulant to happiness and fun activities so let’s keep praying that this weather continues so we can all make the most of the great outdoors. 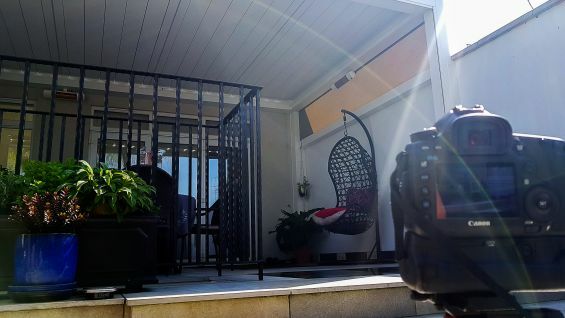 Our digital media team have made full use of last week’s sun streak as they headed out on photoshoots in London, Hertfordshire and our show site in Suffolk to obtain lifestyle images of our stunning outdoor living and shading solutions. Every year we aim to create new stunning digital content that we can use for our websites and marketing material so that our customers can see and feel the essence of our products. 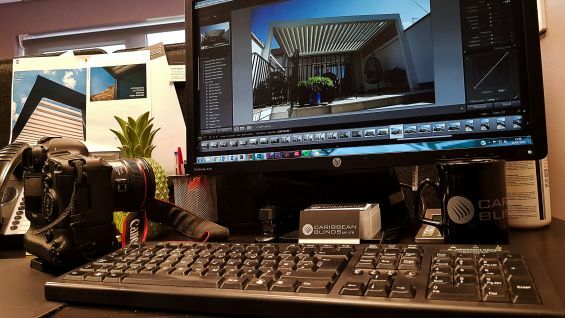 Our digital team work closely with the Managing Director to select installations that highlight the quality and functionality of our outdoor living and shading solutions. In London and Hertfordshire we visited two clients with Outdoor Living Pods™, both with their own unique purposes to the client and both conveying different aspects of the capabilities of its flexible design. 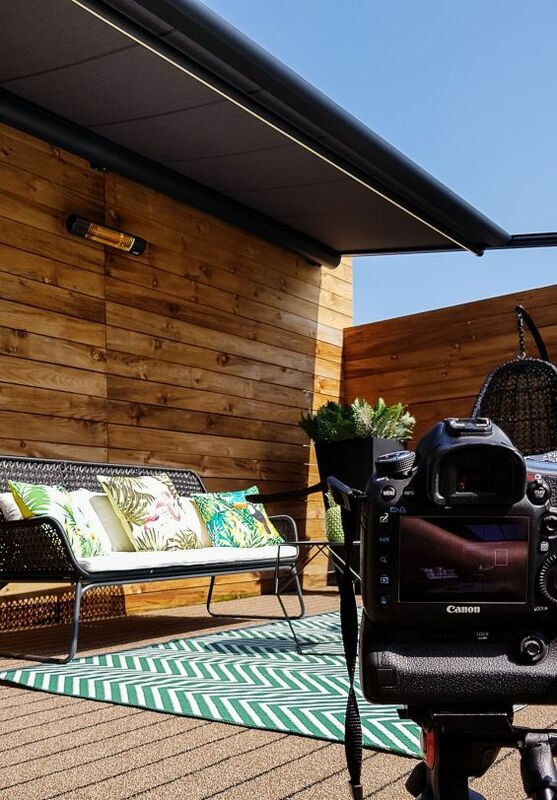 Every louvered roof project is different, each one can be designed to the specific needs of the clients which is why it is imperative for us to highlight this to our potential customers so that they can see the great lengths we can go to create the perfect outdoor living solution. Our other shoot at our show site in Suffolk was particularly exciting because it was a new outdoor living solution that we have recently added to our products range, the Puerto Rico Pergola Awning. We won’t say too much on this product now as we will be releasing a separate article once all the digital content is ready. All we can say is it a great midpoint product between the awning and the Outdoor Living Pod™. Keep an eye out for our finished content that will be released very soon. If you would like to view our current work then please feel free to visit our websites below.